Catering & Bar: Hyatt Regency & Big Storm Brewing Co. When I say the Govoni Wedding was a blast, I mean it.was.a.blast! 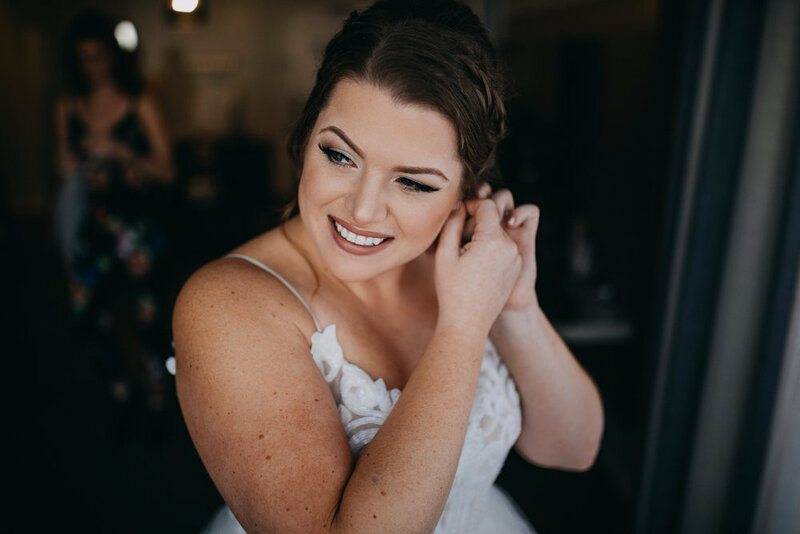 When I first met with Brittany & LJ to talk about being a part of their big day, they invited me to meet them at Big Storm Brewing where LJ is a partner in the business. 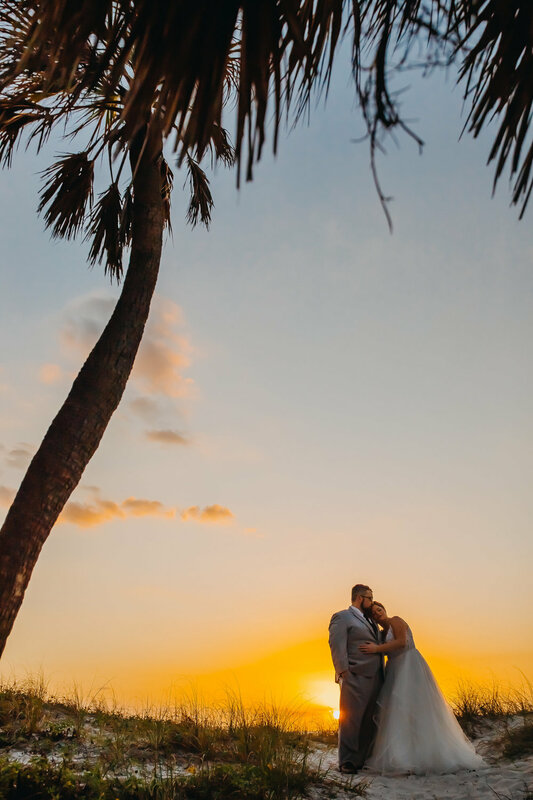 My initial thoughts about the couple were that they were so kind and inviting, both sophisticated and business people, while also being a couple that loves to entertain and have a good time! 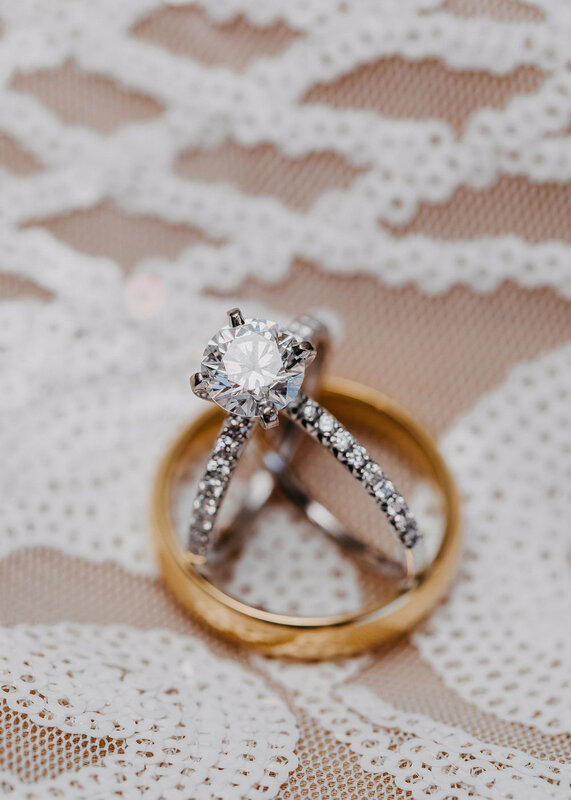 Their wedding day was an exact replica of their personality, which made it so so fun! When I first got to the Hyatt to check in on the girls, I walked in to a hotel room full of Bridesmaids & a Bride getting down to Beyonce, taking champagne bong shots while laughing and having a good time! After checking on the gals I walked over to find the guys drinking their favorite brews from Big Storm, smoking cigars and a room FULL of food. I knew from that moment that this was going to be a group I really loved working with. Throughout the day, I could tell that everyone was really enjoying every single second of the wedding, and that’s a great feeling as a day of coordinator. 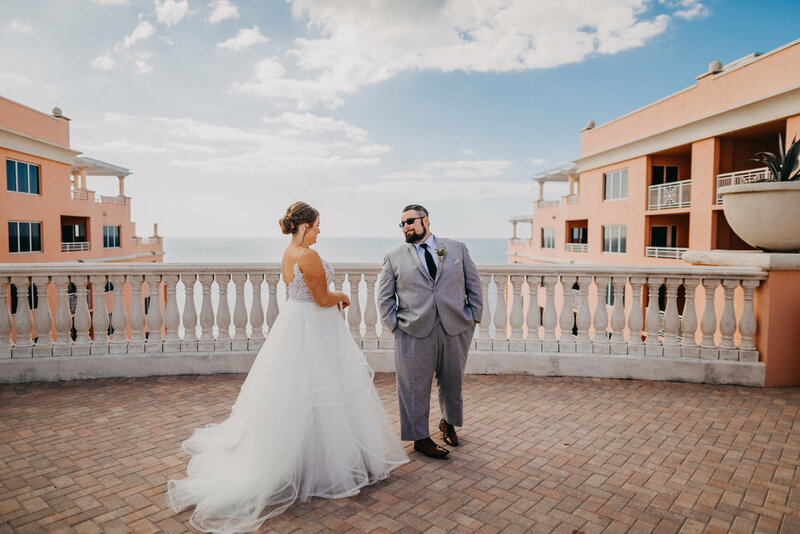 The rooftop ceremony was absolutely breath taking as the sun was beginning to set and the gulf breeze was blowing. Brittany & LJ hired live musician Kayla Korpics to play her ukulele and piano during the ceremony as guests and the bridal party entered. Cocktail hour was held on the lower level terrace with a beach view with the reception inside the newly renovated beach themed ballroom. The decor for the reception was simple and elegant with unique beach touches. Each centerpiece by Petal Heaven was different from the others while looking so symmetrical and clean when placed on the tables. 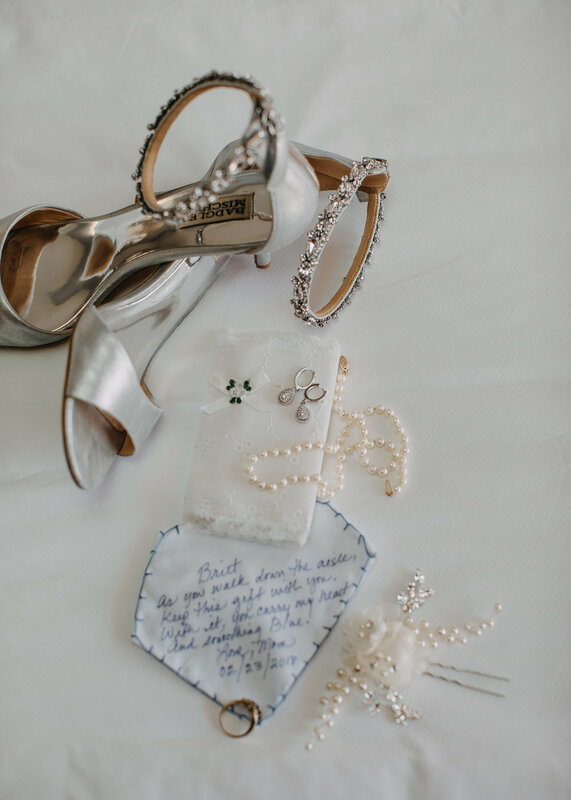 The guests could find their name hand written on a piece of sea glass at their place setting with pearls, sand & shells used on each table to bring the beach indoors. After dinner was served, the beautiful cake by Chantilly was cut and Eric from GHA kept the dance floor full while Brittany, LJ and their closest friends and family danced the night away. 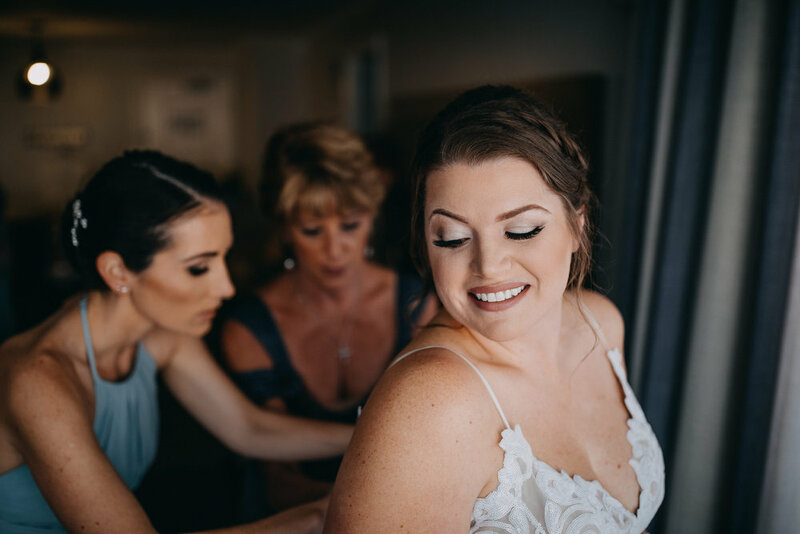 Brittany & LJ opted to not have a formal exit, but instead ended their night with a last dance and taking the time to individually thank each and every one of their wedding guests for coming and being a part of their big day.